My Series Sunday pick is Christopher's Diary: Secrets of Foxworth, the first book in the Diaries series by V.C. Andrews. This is the series that doesn't end. It just goes on and on and on, my bookhearts. V.C. Andrews legacy won't let it go. Ghostwriter won't stop. Lifetime has joined the fold and started making movies of the famous Dollanganger series. Clearly Flowers in the Attic was not the whole story. Umpteen years later and V.C. 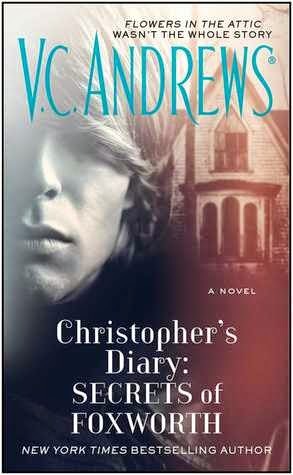 Andrews fans get to finally read Christopher's side of the story, mostly in his own words from a diary that seventeen-year-old Kristin Masterwood finds. Kristin is a distant relative of the Foxworths. Specifically, her mother had been Malcolm Foxworth's third cousin. Kristin was curious to see the twice-burned Foxworth property so she tagged along when her father's construction company was hired to inspect it for a prospective buyer. The mansion and legend of the four Dollanganger children locked in an attic fascinates Kristin. During the inspection, her father finds a leather-bound book which turns out to be Christopher Dollanganger's diary. The yellowed pages are filled with his account of what happened during those three long years locked in an attic. Prisoners/victims of their mother's inheritance scheme. Kristin devours the diary as it feeds her obsession with the children called flowers in the attic. Christopher's Diary: Secrets of Foxworth begins in the first days, pre-Attic life. 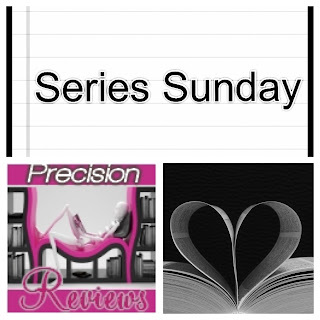 Right away, readers can gauge his impression of sister Cathy (very dramatic) and his momma Corrine (greedy). At the same time, he gains the trust of readers by sharing his love of reading. Avid readers unite! I stopped reading V.C. Andrews series when they became heavily recycled. Same incestuous or orphan story, different character names. I suspect the fan base has dropped over time. Perhaps this is why ghostwriter Andrew Neiderman decided to return to the moneymaker of V.C. Andrews library. I picked up Christopher's Diary: Secrets of Foxworth with a heavy side-eye. Hours later, I put it down with a smile. Yes, I enjoyed it so much that I spent an entire day reading it. I am looking forward to the second book of The Diaries and hope it is just as, if not more, interesting.